Sketch-it host Kara shows DIY Cool Tools host Chris Grundy how easy the Sketch-it clipboard works. 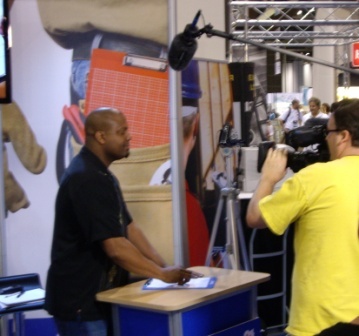 DIY Cool Tools Host Chris Grundy presenting Sketch-it for the camera. 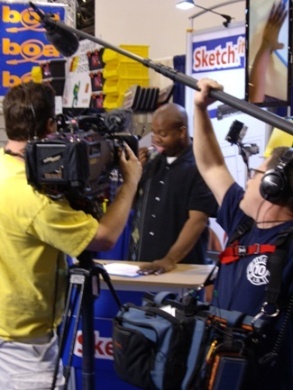 DIY Cool Tools TV host Chris Grundy showing the camera audience that even he can draw straight lines with his eyes closed using Sketch-it. 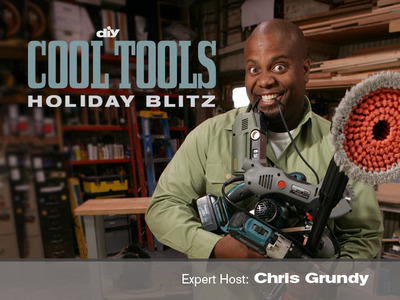 Network’s third annual two-day marathon: Cool Tools Holiday Blitz. Hole Pro Stucco Hole Saw: This tool can fit into tight places and makes clean cut holes every time. Sketch-It: This micro-grid clipboard ensures you’ll draw straight lines every time. Craftsman Nextec Circ. Saw: This tool is both quick and clean so you’ll get the job done right. Might-D-Light: With 80 LED lights, this light configures to any shape for any space. Exakt Sander Planer: A sander that can sand from 1 to 50 layers of material. straight cuts faster than ever. With its carbon fiber material, it ensures that it won’t bend during use. beautiful and functional deck surface, completely free of exposed fasteners and painful splinters. Easy Green Lawn Paint: The environmentally safe way to make your lawn look great all-year long. Giani Counter Top Paint: A granite countertop finish that's beautiful and safe for your family. Ridgid JobMax: Compact and powerful, this is the most versatile tool system on the market. 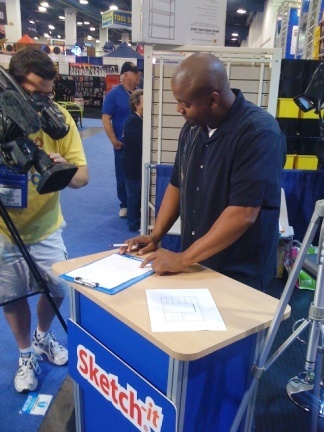 channel designations may be found by checking local listings and www.DIYNetwork.com/tv. programming covers a broad range of categories, including home improvement and landscaping.